The mission of Arbor Builders is to serve the needs of their buyers, subs, employees, and community by designing and constructing extraordinary homes for the future. They operate efficiently and effectively as an inspired team, and work from a place of integrity, opportunity & strength. Arbor Builders wanted to drive most of their leads through an online, traceable funnel to validate their marketing spend. They also want to have the best marketing in the marketplace for their market level. 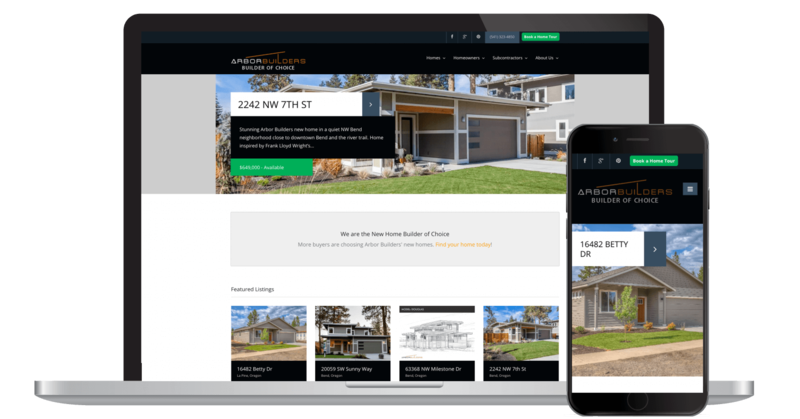 Our full service operation helped drive more leads to Arbor Builders website, and our development team integrated multiple CRM's directly into their server architecture to help track all leads in one place. Google search and Facebook marketing provide awareness and leads. 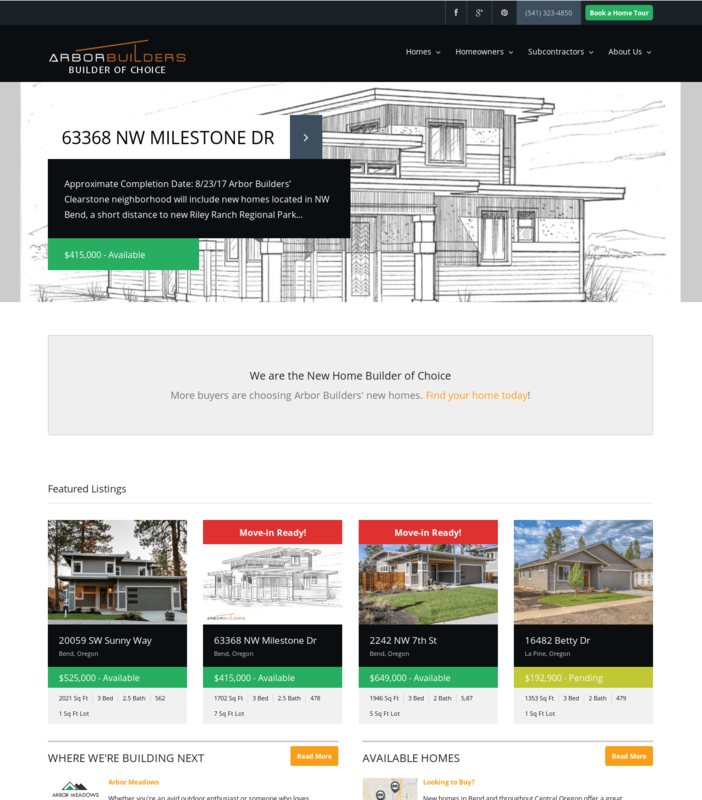 Arbor Builders first contracted our team to build a website. It needed to have individual homes that were searchable from the website, as well as navigable maps and call-to-actions for the realtors who represented the homes. The WordPress site was designed to be effective, clean, and easy to update. Arbor Builders’ first marketing objective was to establish a growing search presence in Central Oregon. Through keyword research, a .edu scholarship campaign, and various local search strategies, we managed to rank #1 for several medium-volume keywords locally. For 3 years, Arbor Builders has been growing in organic traffic by 30%-50%. As the market began to grow, we were tasked with creating a lead-capturing system on their website that integrated with several CRM’s, including Salesforce and Sales Simplicity. The idea was all leads could be seamlessly transferred to the realtors with a clear conversion path. To gather leads, they contracted our PPC and Facebook advertising team to help construct lead-gen campaigns. Our lead generation campaign sends interested home buyers to individual landing pages, which advertise new communities and home locations. In the first 3 months, we managed to drop CPC by 20% of total price after finding a lead source.